You’re having a pleasant walk in a nature reserve on the weekend and all of a sudden a fighter jet goes down near you. You immediately hear sirens going off, and buzzing alerts on your phone. What do you do? Panic? Run? Check on your loved ones’ safety? Well, if you were one of the 100,000 people in northern Israel’s nature reserves or another 25,000 people in Israel’s snowy holiday area, Mount Hermon, on the second weekend of February 2018, you would have simply carried on enjoying your walk or your skiing like nothing happened, unfazed by the Iranian drone plane that penetrated Israeli territory getting shot down, and the IDF plane soon after also getting shot down after its response attacks on targets in Syria. For Israelis, this is simply a routine situation raising no cause for concern. Protected by one of the world’s strongest armies, and what’s been recently rated the world’s best air force, Israelis seemingly have good reasons to be complacent. However, such indifference in the face of such close-range danger indicates the extent of our hubris, and confidence that our technology will always be there to protect us. It is also a prime example of our stiff-necked nature. Do we realize that this event could be a preview of the next war in Israel’s north, which could spark overnight? 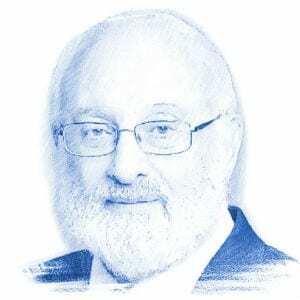 Are we attentive to the future endangerment of Israel’s northern sector, or are we impervious to it, just as we were some 80 years ago when we failed to detect the risks that led to the Holocaust? 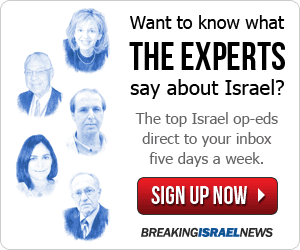 Why Are the People of Israel ‘Stiff-Necked’? Like caring parents who know how to develop their children by giving them problems they need to solve, the upper force challenges us by adding excess ego to our social relations, a repelling force separating and distancing us from each other. Therefore, like any healthy child who tries to outsmart his or her parents, we should think about how we could respond maturely to these hints. By using the wisdom we’ve been granted as preventative medicine to increase our sensitivity to reality and our role in it, we can develop our understanding of the bigger picture surrounding every such event, and our awareness of how we can use these hints to incentivize greater unity. If we don’t use this wisdom as preventative medicine, then it will still be waiting for us later. However, later we would use it as medicine to treat wounds and pains we can expect to suffer if we fail to use it in advance of the blows. Therefore, if we would relate to every threat against us as a hint given to us from a loving and caring higher power that wants us to enter into dialog with it, then we would start using the medicine before the blow. We would not run to spend millions of dollars creating more advanced defense systems and technologies since we would see how all such development continues exposing our very same weak point: our stiff-necked egoistic nature that desensitizes and detaches us from each other. We would work out precisely where we need to apply our intelligence and efforts: to strengthen and enrich our connection to each other above our nature that constantly operates in the opposite direction. Right now, we appear to be intellectually, creatively and technologically advanced, but in terms of the uniting attitude, behavior, and example that the world really needs from us, we look sluggish and incapacitated. If we were attacked from all sides, then we would see how quickly we would open up to each other and unite. But why should we wait for an unfortunate, suffering-propelled scenario to unite us when we have everything at our fingertips to unite while there is relative calm and prevent the pain scenario from unfolding? As Samuel David Luzzatto wrote about 150 years ago, “The success of our nation depends solely on the love of one’s brothers, on our connection in a single bond as members of one family.” Today, escalating pressures amount on us, the people of Israel, to realize our deep seeded unity. In the meantime, however, we continue business as usual, numb to the hints were being offered. This is all on credit, though, and the time will come when we’ll need to pay it off. It is my hope that we’ll be able to wake up to our role sooner, through learning and wisdom, rather than later, through suffering and blows.